The slide show below shows two commissioned pieces I compleded in November/December, 2017. The first one has 4 branches coming into it. 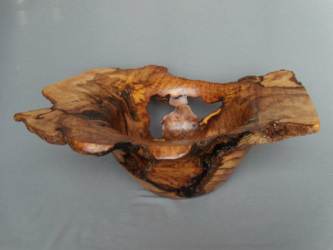 This piece meant a great deal to the owner when he and his wife were married. 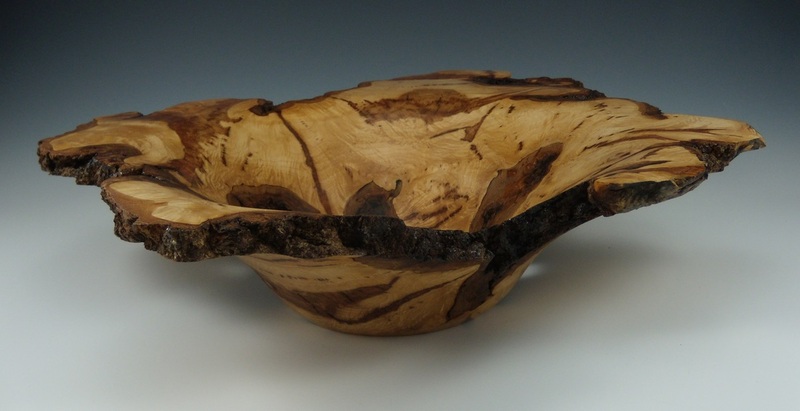 Now that the tree was taken down they kept this unique part of the tree and had me turn it into a finished form. Initially, it seemed relatively straight forward other than the large size (22"). The main feature I wanted to keep was the 4 branches. 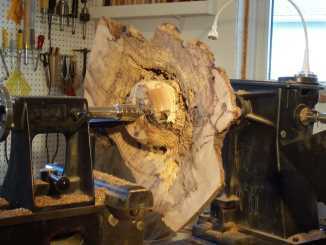 As I started turning and shaping it I discovered there were many voids and cracks inside. I had to add multiple applications of epoxy to in order to keep the piece together during the turning process. 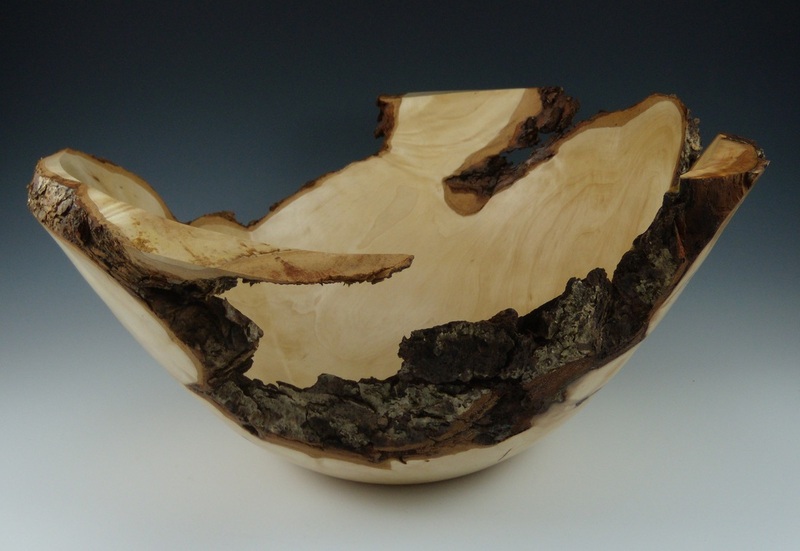 Because of the voids and cracks, it ended up a bit thicker than I might normally do, but nevertheless the finished piece looks quite nice and very organic with the live edges. My customer was very happy with this finished piece. 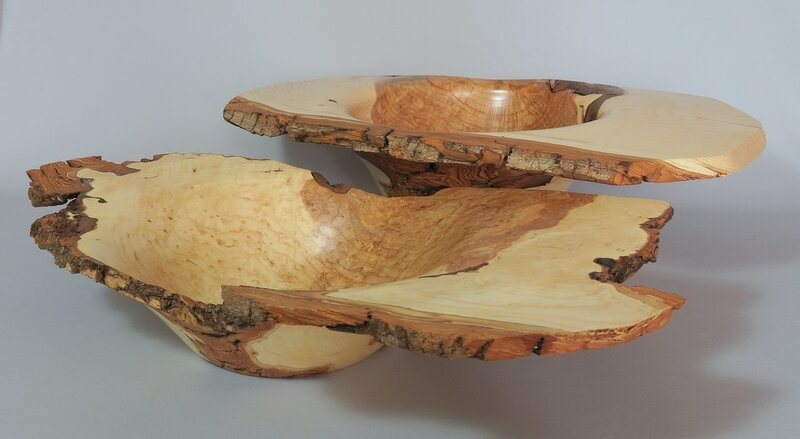 ​The second one is a very large (25" diameter) and very heavy burl that a client brought to me to see what I could do with it. 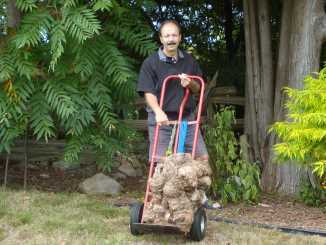 This was his father's burl that was harvested from his land. 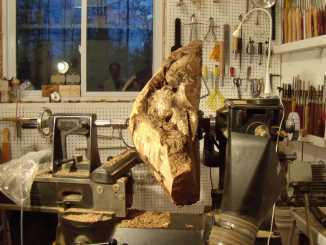 Because of the sentimental value of the burl he wanted it turned into some type of interesting piece that would become a family heirloom. 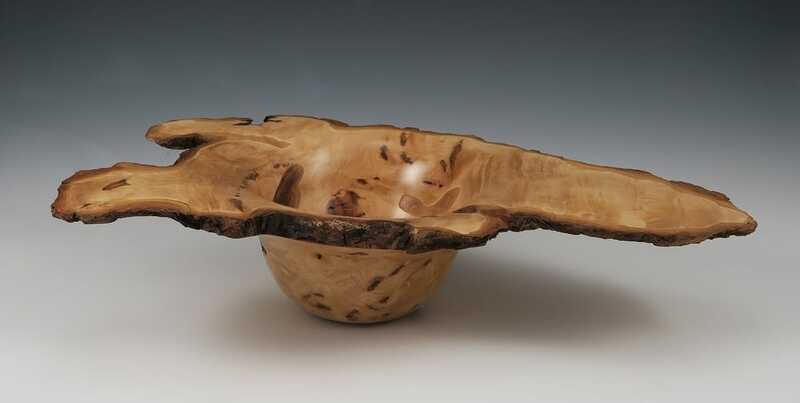 Although initially he thought it was an oak burl, after some turning and consulting with a fellow woodturner (and former Ministry of Natural Resources employee) we concluded that it is a pine burl. 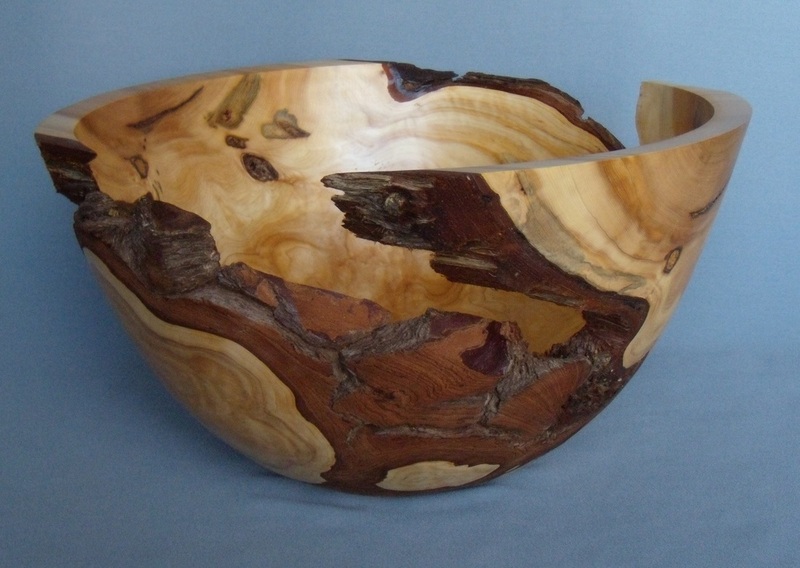 The wood was like nothing I had turned before, being very oily and dense, full of hardened pine oil or resin. 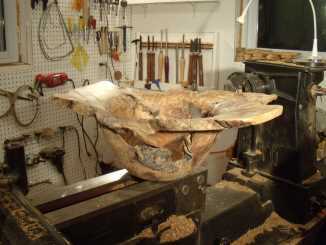 During the creation I attempted to keep some of the natural edge visible. 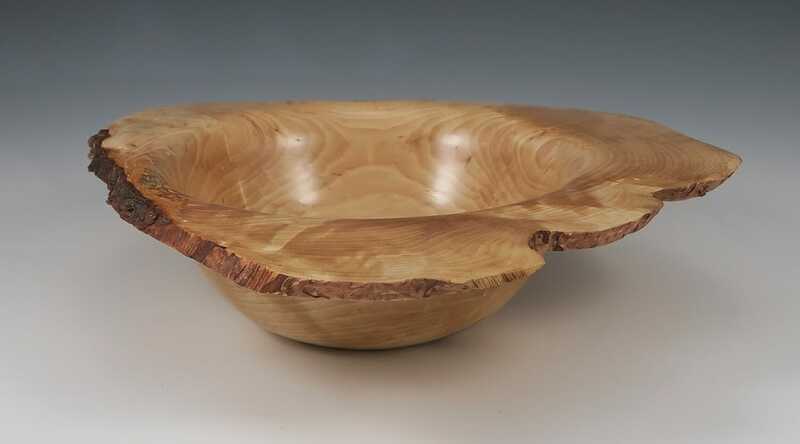 Because of the oils in the wood it was impossible to sand, so a good finish off the tool was needed. Final finishing also took some care to assure the finish would adhere and dry. The finished piece turned out quite well, with a very organic and satin sheen to it that my client was thrilled and very pleased with how it turned out. 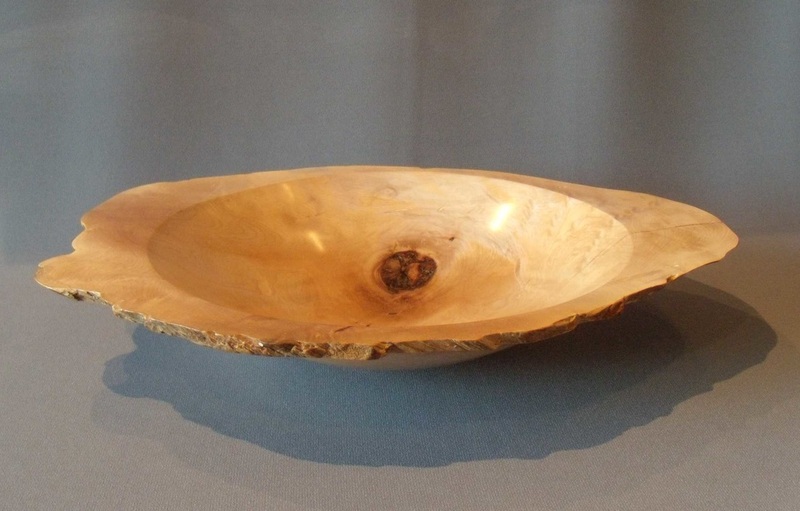 My clients comments after taking the piece home: "The piece has sat on our kitchen table since it came home and every time I look at it, something new jumps out of it. It's simply amazing. 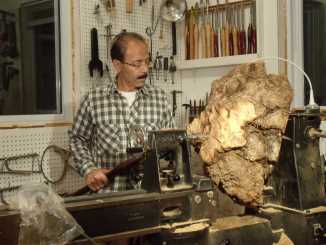 You sure did a great job of bringing out the best in that large burl. My wife is also thrilled with it. We are planning a special place for it in the new house." 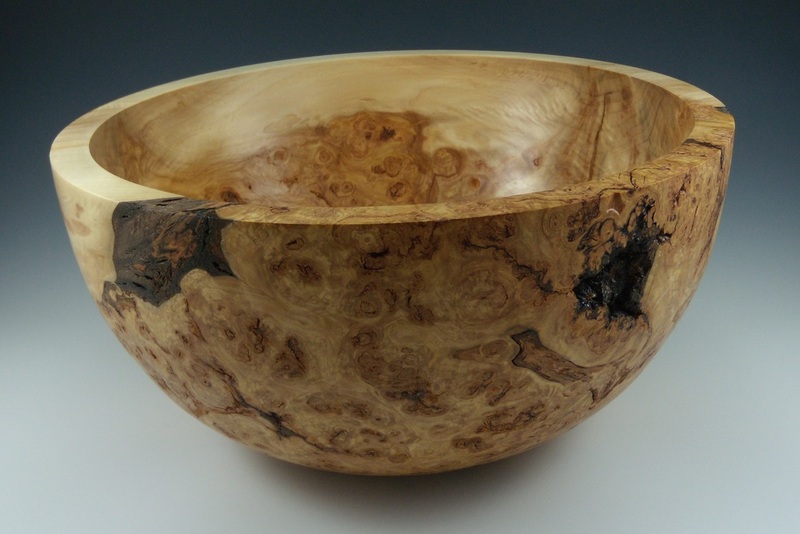 Sold: Birch Burl - 20" x 16" x 4.5"
Turning burls can be quite a challenge working around voids and changes in wood grain and density. 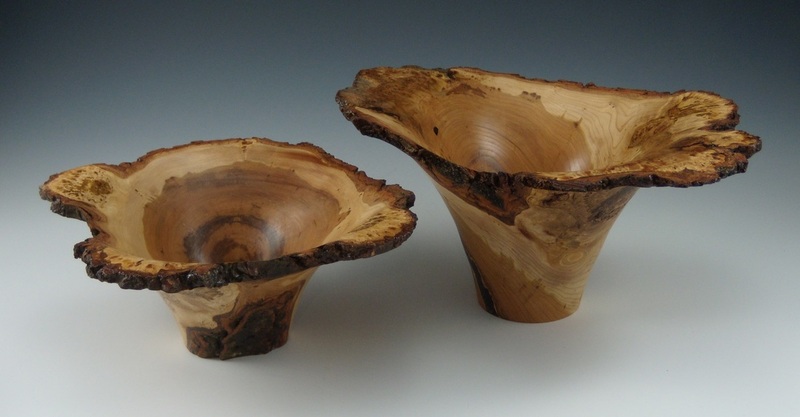 In some cases voids must be filled with epoxy to keep the piece safely together during the turning process. 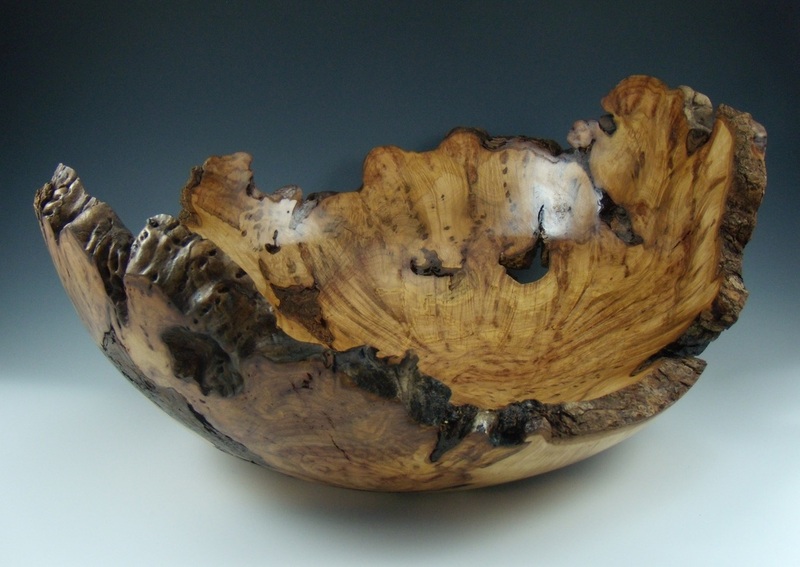 Burls are often treasures that yield beautiful organic pieces with figured grain and many natural edges.